All things considered, the Nvidia Shield is an excellent streaming box. There are other options out there for less than the Shield’s price point worth considering but, should you desire a 4K video streaming player that can handle some of your favorite games, this is the perfect addition to your audiovisual armory. 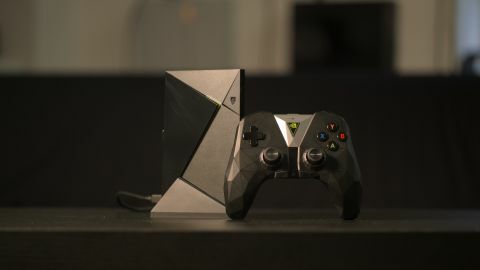 There's lots to love about the latest Nvidia Shield, including its 40% reduction in size, full Google Assistant integration, Amazon Instant Video for the first time on Android TV and a hell of a lot more. It's greatly-improved on the first version of the gaming-centric streaming box, which hit the market a few years. There's much better universal search functionality, as well as a much bigger selection of apps. And let's not forget the recently-added Google Home and Assistant support, which has all combined to allow Nvidia's hardware to really shine. So if you've been toying with the idea of checking out Nvidia's already awesome streaming machine, now is the time to do it. Before we delve into the review, let's have a little refresher for those who don't know much about the Shield already. The $199 / £189 / AU$249.95 4K-capable, HDR-ready video streaming device has been developed by a primarily graphics card-focused company. It's one of the most powerful streaming video players on the planet – one that can double as a gaming system, and triple as the center of your smart home. It has the power to stream your favorite shows like Amazon Fire TV or any one of the Roku players, but with the added perk of being able to play Android TV and some PC-quality games via GeForce Now. Finally, while other streaming devices might make you tack on a Bluetooth controller in order to really enjoy games (cough, Apple TV), Nvidia Shield comes with a completely re-designed gamepad that works much better than it did previously. It has its shortcomings, but overall Nvidia’s Shield TV has enough on offer to persuade even the most ardent of skeptics to give this little streamer a shot. When you picture a streaming video player you might call to mind a sleek, flat square no more than an inch or two high, or a small hockey puck-shaped plastic box. Nvidia Shield isn’t quite like either of those. Nvidia eschewed traditional design years ago and has developed its own style for the Shield that’s neither round nor flat, but an interesting mix of criss-crossing lines, unique slants and stark angles. The headline feature here is that the 2017 Shield is 40% smaller than before, bringing it from about 20cm (8-inches) wide down to about 13cm (5-inches). It’s able to shed some plastic by dropping the micro-SD card slot that used to hang out on the back and retail in only one hard drive size – 16GB. (Of course, Nvidia tells us that the 500GB version of the Shield will still be available at the old 2015-version size, too, but it will cost a bit more and be called the Nvidia Shield Pro, check out our original Nvidia Shield review for an overview of the hardware). So what ports are left? Spin it around and you’ll still find Gigabit Ethernet, HDMI 2.0a and two USB 3.0 ports. Although the box is compatible with 802.11ac Wi-Fi your best bet for consistent 4K video streaming or GeForce Now gaming is going to be running an ethernet cable directly from your router into the box. All that said, its diminutive stature actually makes the console smaller than the included controller, something which has also gotten a facelift for the new year. The 2017 Shield TV controller is less bulky than its predecessor and much more angular. The surface of the controller is covered in a triangle pattern that, in some ways, makes the controller easier to hold in your hand. These new controllers won’t offer the touchpad that you’d find on the ones that shipped with the original Shield, and that’s because Nvidia said those were a holdover relic from the “web browser on your TV” craze. That said, you can still use the original gamepads with the 2017 Shield should you have any of them laying around. And while the latest controllers say goodbye to the touchpad, you can still find a built-in microphone on each and every controller. That’s used, among other reasons, to activate Google Assistant – a Siri equivalent built for Android devices – which we’ll touch on soon. The controller is a step in the right direction on all accounts, but admittedly it’s still not the best pad out there for extended play sessions, especially when stacked up against Sony’s DualShock 4 or Microsoft’s Xbox One controller. We could enumerate the number of tweaks Nvidia needs to make here, but the first steps Nvidia should consider taking here would be to make it weightier, more durable and redesign the triggers, D-Pad and face buttons. Nvidia says the controllers are rated for around 60 hours of battery life, but didn’t say if that number is for active use or standby mode. The controller turns itself off after a period of use to save on power so it’s sort of tough to say how long it can last on one charge. Here’s some good new, though: Each and every Nvidia Shield will now ship with a basic remote – something that used to be an optional accessory – for free. The remote has a built-in microphone in case you stray too far from your controller, a set of three simple buttons for navigation and a touch-capacitive channel to raise and lower the volume. It’s an excellent addition, and something that makes it much easier to use the console as just a streaming box if you don’t want to bother with the gaming side of things for a session.